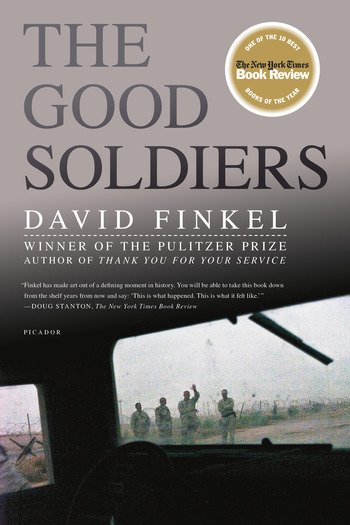 With The Good Soldiers, Pulitzer Prize-winning reporter David Finkel has produced an eternal story — not just of the Iraq War, but of all wars, for all time. Fifteen months later, the soldiers returned home — forever changed. The chronicle of their tour is gripping, devastating, and deeply illuminating for anyone with an interest in human conflict. In a video edited by The Washington Post, author David Finkel candidly discusses the uncertainty of life in Iraq. David Finkel is a senior writer-in-residence at the Center for a New American Security and the national enterprise editor at The Washington Post. He is the recipient of the MacArther "Genius" Fellowship. Finkel won the Pulitzer Prize for explanatory reporting in 2006 for a series of stories about U.S.-funded democracy efforts in Yemen. He lives in Silver Spring, Maryland, with his wife and two daughters.